Jim Lupski is Cullen Professor of Molecular and Human Genetics and Professor of Pediatrics at Baylor College of Medicine (BCM) and Attending Medical Geneticist at Texas Children’s Hospital. He is ABMGG certified in Clinical Genetics and Clinical Molecular Genetics (1993-2022). He received his initial scientific training at the Cold Spring Harbor Laboratory as an Undergraduate Research Participant (URP; summers of 1978 &’79) and at New York University obtaining his undergraduate degree in chemistry and biology (1979) and completing the MD/PhD program in 1985. In 1986 he moved to Houston, Texas for clinical training in pediatrics (1986-1989) and medical genetics (1989-1992) and then established his own laboratory at BCM where he remains, and as of 1995, as the Cullen Professor. the importance of recessive carrier states in susceptibility to complex traits. He elucidated copy number variants (CNV) and gene dosage as a cause of Charcot-Marie-Tooth neuropathy in 1991 and recently (2014) showed that triplication causes a more severe form of CMT. The CMT1A duplication discovery opened a new field of genomic disorders “diseases caused by rearrangements of the genome incited by a genomic architecture that conveys instability” – the conceptualization and mechanistic understanding (NAHR, FoSTeS/MMBIR, AluAlu-mediated rearrangements) of genomic disorders have been Lupski’s most significant contributions. Other prominent medical geneticist have maintained that the clinical implementation of Chromosome Microarray Analysis (CMA) to detect genomic disorders as originally defined by Lupski including their enormous role in causing developmental, cognitive, and behavioral disabilities is the greatest clinical benefit to emanate to date from the human genome project – this was until 2013 when personal genome analyses by clinical exomes became a reality. For his work in human genomics and the elucidation of genomic disorders. Dr. Lupski was awarded a DSc honoris causa in 2011 from the Watson School of Biological Science at the Cold Spring Harbor Laboratory. 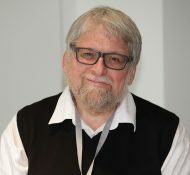 He is a pioneer in personal human genome sequencing and his contributions have advanced whole genome sequencing to the point where it can be used not only to gain mechanistic insights into disease origins, initially on his own genome, but also to understand and manage the treatment of individual patients. He proposed the Clan Genomics hypothesis highlighting the roles of new mutation and rare variant contribution to disease. Dr. Lupski is an elected member of the American Association for the Advancement of Science (1996), the American Society of Clinical Investigation (1998), the National Academy of Medicine of the National Academies of Science (2002), and the American Academy of Arts and Sciences (2013). Dr. Lupski’s most recent accolades include the 2014 Environmental Mutagenesis and Genomics Society Award for mutational mechanisms causing human disease, the 2018 Colonel Harland Sanders March of Dimes/American Collge of Medical Genetics Lifetime Achievement Award for studies of birth defects and the 2018 American Society of Human Genetics Victor McKusick Leadership Award for pioneering studies in human and medical genetics. He has coauthored > 725 scientific publications, co-edited 3 books including the definitive text on genomic disorders, is a co-inventor on more than a dozen USPTO DNA molecular diagnostic patents and has delivered over 525 invited lectures in 37 countries. In summary, as a physician-scientist and leader in the fields of human genetics, mutagenesis, and clinical genomics, Dr. Lupski has substantially defined the field of genomic medicine and his lab’s work has helped to foster the precision medicine initiative.